Biobanks help researchers gain access to human samples. By studying these samples, researchers hope to find new ways to detect, treat, and maybe even prevent or cure health problems. If you donate your tissue, you can help researchers make new discoveries that we hope will benefit future generations and increase their quality of life. 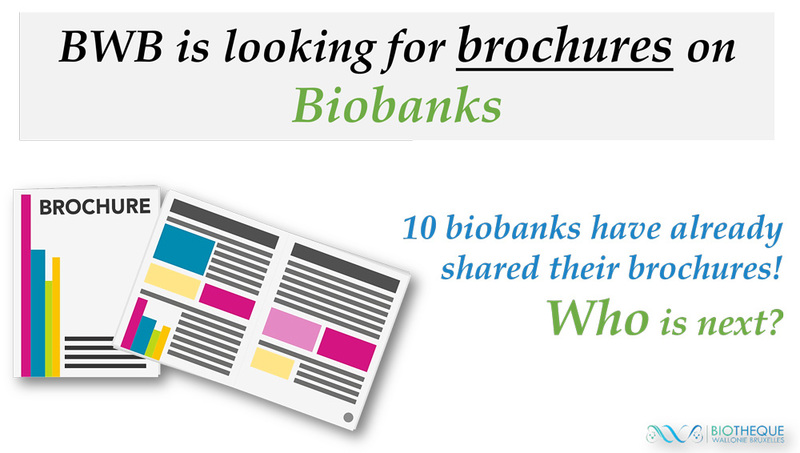 Sharing is key in the biobanking ecosystem. In order to encourage patients and healthy individuals to grant access to their samples and associated data, they need to be provided with accurate, precise and clear information. Every word matters. While selecting the right pictures is definitively important, the brochure design is even more crucial. Overall, it should be simple and the biobank should come across as humble and respectful. Too much information or too little, a wrong picture or one misused word could give the wrong message, and instead of engaging people, you turn them away. By sharing this post in the BBMRI-ERIC newsletter, Biothèque Wallonie Bruxelles (BWB), the Belgian biobank network, hopes to create a momentum for biobankers to join it on its journey towards collecting the right information. The idea is to establish relationships between all stakeholders in biobanking by making sure that all information about biobanks and tissue is crystal clear. You can also submit your brochures by email or get in touch via our LinkedIn page.